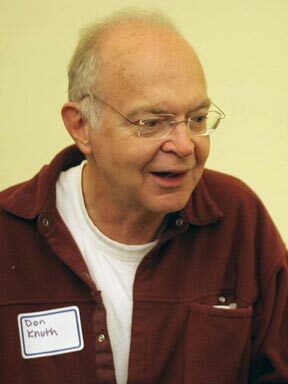 Donald Knuth is computer science professor at Stanford University, and author of the definitive multi-volume work-in-progress "The Art of Computer Programming". In the 1970s to typeset the books he developed the TeX scientific document typesetting program, together with the METAFONT program for generating typefaces from a set of templates and a list of modifiable parameters. These programs are copyrighted by Donald Knuth and the American Mathematical Society, but he has allowed them to be freely distributed and used along with LaTeX, the successor to TeX, and they are frequently used for typesetting scientific documents, and especially for mathematical typesetting.